Ever wanted to know what happens in the locker room just before a big match? Have you wondered how a player trains during a tournament? This is your chance! Go behind the scenes with our Fed Cup and Davis Cup teams as they prepared to represent Canada in international competition this past February. Our exclusive Game.Set.Canada documentary takes you into the locker room, in the gym and on to the court with our Canadian players. Relive the highs and the lows of the recent Fed Cup tie against the Netherlands and the Davis Cup tie against Slovakia and find out what makes these team events so special. 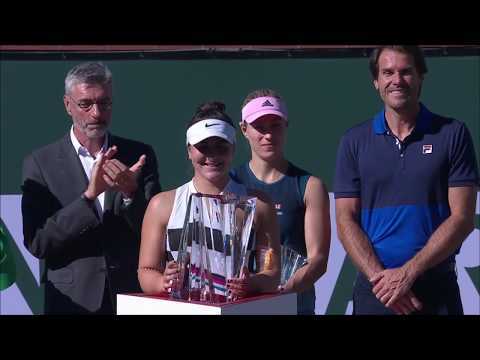 In Part 1, you will be able to follow the girls on their journey to a 4-0 upset victory over the Netherlands and what would be the start of Bianca Andreescu’s rise up the international tennis scene. Find out what Gabriela Dabrowski, Rebecca Marino, Françoise Abanda and Andreescu had to say about representing their country and the obstacles they had to overcome to get to where they are today. These five episodes are all about women empowering women. Watch as all the hard work they put in comes to fruition in the end with a dominant victory over their opponents. In vastly different circumstances, the boys arrive in Slovakia with their backs against the wall as they take on a stacked Slovak team. Full of nerve-racking and tense moments, the team finds themselves down and on the brink of elimination before the young guns Denis Shapovalov and Félix Auger-Aliassime step up to the plate to make the improbable comeback. Get ready to feel all the emotions as Canada books their spot in the Davis Cup Finals with a 3-2 victory. Stay tuned from April 12th to 16th for the Fed Cup episodes and from April 29th to May 2nd for the Davis Cup episodes! We will be airing the episodes on our Facebook channel and the documentaries will then be available to watch in their entirety on YouTube. Want more? We’ve got your covered! Our team will be filming during the upcoming Fed Cup tie against the Czech Republic and will also be present during Canada’s run in the Davis Cup Finals.